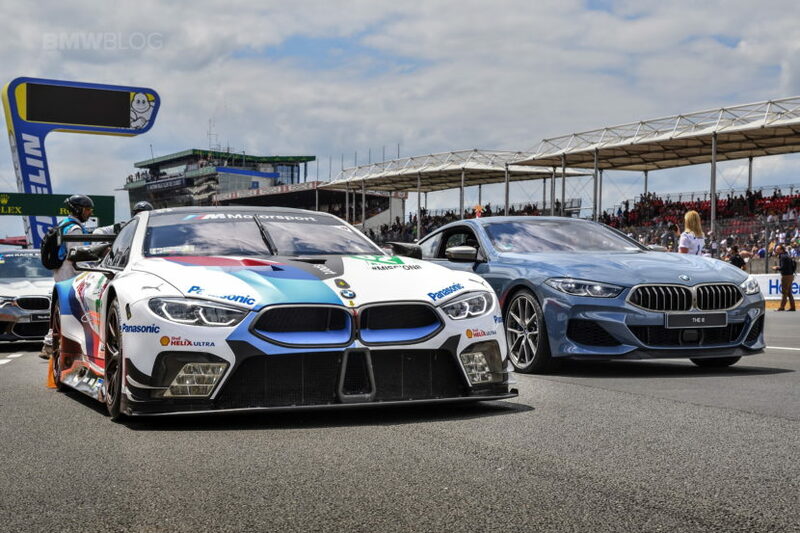 The BMW M8 GTE and the BMW 8 Series Coupe were on the same race track in Le Mans this past weekend. The two cars are part of the 8 Series family and for the first time, as BMW said, the race car arrived before the production model is based on. The 8 Series Coupe was just unveiled in Le Mans, while the M8 GTE has been racing since the beginning of 2018. 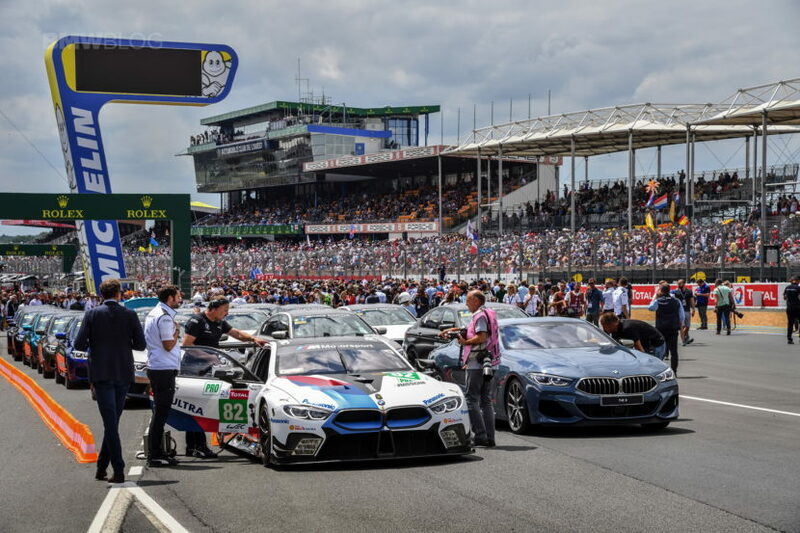 Ahead of the 24 hrs of Le Mans, where unfortunately BMW Motorsport only finished 12th, the two models were part of the grid before a quick lap together. Although the racing car differs from the road vehicle in many aspects, the similarities between the two variants are obvious. While the performance of the rear-wheel drive BMW M8 GTE is not communicated in detail – but expected at around 500 hp – the performance of the BMW M850i ​​Drive is no secret: 530 hp are distributed to all four wheels. The new 8 Series will be at the forefront of every marketing plan deployed by BMW in the next months. Apart from the car’s importance, as it brings back a nameplate after a 20-year hiatus, the new 8 Series is probably going to be the most expensive model in the range, topping the 7 Series in this department.